Mount Edgecombe has come a long way in the last two decades - from a 'sleepy village' lying amongst the sugarcane plantations, to an upmarket residential area graced with not one, but two magnificent golf estates. Superb Star Graded Mount Edgecombe B&B's offer golfers, business executives, wedding guests, travellers and tourists luxury accommodation within the beauty of the prestigious Mount Edgecombe Golf Estate. Visitors to Mount Edgecombe are offered the best of all worlds - the opportunity to reside in a luxurious golf estate, while still being close to Umhlanga's many leisure attractions, as well as Umhlanga Ridge's corporate complexes. The N2 and N3 freeways are also nearby, providing immediate access to Durban's hotspots, as well as the KZN North and South Coasts, Pietermaritzburg and the Midlands, making Mount Edgecombe an ideal destination for holidaymakers and visiting business executives alike. Known as 'the golfers dream', Mount Edgecombe is home to the Mount Edgecombe Country Club, which provides world class restaurants, conference facilities, tennis, squash and bowling clubs, as well as Mount Edgecombe One and Mount Edgecombe Two - championship golf courses designed to USGA specifications. Mount Edgecomber One is an extremely established and attractive golf course with a parkland layout. With four sets of tees, the course is playable by golfers of any handicap. Mount Edgecombe Two is undulating, with indigenous bush and its share of imposing water hazards. This course is challenging, but fair, and is where a serious golfer can test his skills, and an occasional golfer can still enjoy the game. - Virgin Active Mount Edgecombe Gym - bringing positive change to people's lives, because life is more fun when you move. - Gateway Theatre of Shopping - a mega entertainment centre offering retail therapy, outdoor activities, restaurants, movie complex and science centre. 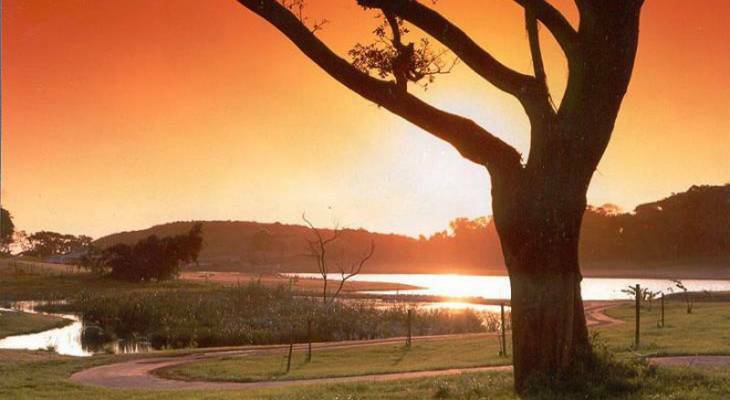 - Hawaan Forest - situated near the Umhlanga lagoon, this coastal dune forest is an ideal setting for family picnics. - Umhlanga Rocks Beaches - offer endless opportunities for sun-worshippers, surfers and scuba divers. - Umhlanga Rocks Natal Sharks Board - get educated about the Indian Ocean predator. - Sibaya Casino - something for everyone - kids entertainment, gaming, live shows and restaurants. Mount Edgecombe is conveniently located just 20 minutes from King Shaka International Airport, and 18km from Durban City Centre. In the case of emergency, Life Mount Edgecombe Hospital is just 3kms away via Golf Course Drive. Mount Edgecombe overview. Mount Edgecombe Accommodation and Information.